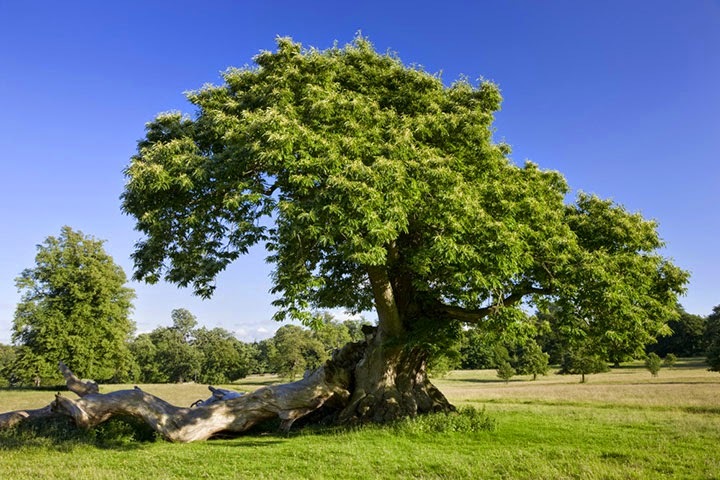 The sweet chestnut has been grown in Britain since its introduction during the Roman occupation. 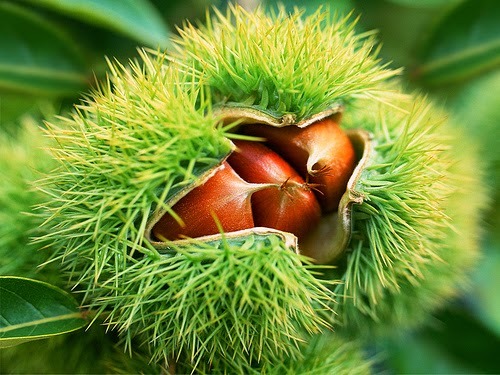 Popular for both its valuable wood and edible seeds, the sweet chestnut - Castanea sativa is a large growing deciduous tree native to southern Europe, north Africa and Asia Minor. The sweet chestnut is a long-lived tree, drought- tolerant species which produces an extremely ornamental display in July when in bloom. It will perform best on moist, well-drained, though preferably rather light acidic soils. The sweet chestnut is moderately lime-tolerant and can be grown with reasonable success over chalk so long as there is a deep layer of soil over it. Sweet chestnut seeds are best sown as soon as they are ripe. This is easily judged as when the time is right they will become exposed within the seed casing and naturally fall from the parent tree. Depending on summer temperatures this will usually be around October. Plant them 2 cm deep in rows 12 inches apart in a prepared seedbed and water in. If the soil is particularly heavy then either use a raised seed bed for better drainage or plant them into 4-5 inch long-tom pots or large root-trainer modules containing a good quality, soil-based compost. 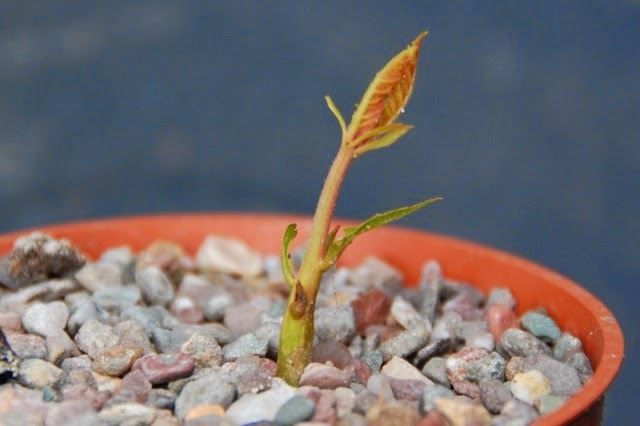 Sweet chestnut seeds display no natural dormancy and will begin to germinate within a relatively short period so long as conditions are favorable. Initial growth is surprisingly rapid and within a few weeks after emergence the seedlings can be between 10 and 20 cm high. The the seedlings will then rest for a few weeks before developing a terminal bud which break into rapid new growth so long as temperatures are not too cold. Keep the compost moist and move pot grown plants into frost free conditions come the winter. Seedlings grown in nursery beds may require the protection of a dry mulch or a cloche. Transplant all seedlings outside onto nursery tines the following autumn and allow to grow for a further 3-4 years. Lift the root-balls in the autumn and transfer to their permanent positions. Note: Do not grow sweet chestnuts in too shallow a container as this can cause permanent root deformities that may lead to the failure of the tree once it matures.